To graduate professionally trained, well-rounded performers and artists who have developed a strong work ethic and character through being artistically perceptive, expressively creative, aesthetically astute, and possessive of a cultural and historical understanding of their chosen art form. 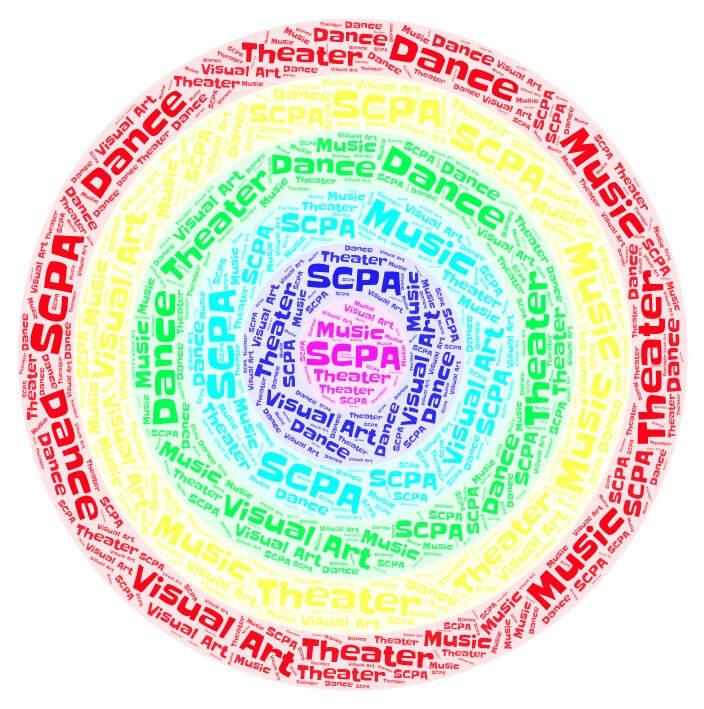 Interested in becoming a part of the SCPA?! An education at the Chula Vista School for the Creative and Performing Arts is a complete education! ​In addition to professional arts training, our students have the benefits of a traditional school, rigorous academic college prep courses including the most AP offerings in the district, opportunities in our national award winning student government and of course athletics! No experience is necessary, just a desire to learn! Search through our majors and find one for you! I believe the SCPA program is a great program because it allows you to discover and develop a passion you have towards an art.